Since turning professional over 20 years ago, Tiger Woods has become a global sporting icon. A record-breaking win at the 1997 Masters marked the start of an ascent to golf’s summit, a rise that has included 14 major triumphs and estimated career earnings in excess of $1 billion. But the glory has been accompanied by pain. In recent years, the now 41-year-old’s body has shown signs of wear and tear. A series of debilitating injuries, most recently to his back, have led to a three-year spell without a PGA Tour win and a fall down the world rankings. But is his decline reversible? CNN’s Living Golf was granted exclusive access to one of the planet’s most recognizable athletes during a recent trip to Dubai. Ahead of the premiere of “Four Days with Tiger” Thursday, we chart Woods’ rise and fall. Woods first went under the knife during his time at Stanford University when, in 1994, he had benign tumors removed from his left knee. In 2002, the same knee gave him further cause for concern when Woods underwent a procedure to remove cysts. In recent years, he has been plagued by back issues. They began with back spasms at The Barclays in August 2013 and the same complaint led to his withdrawal from the Dubai Desert Classic earlier this month. 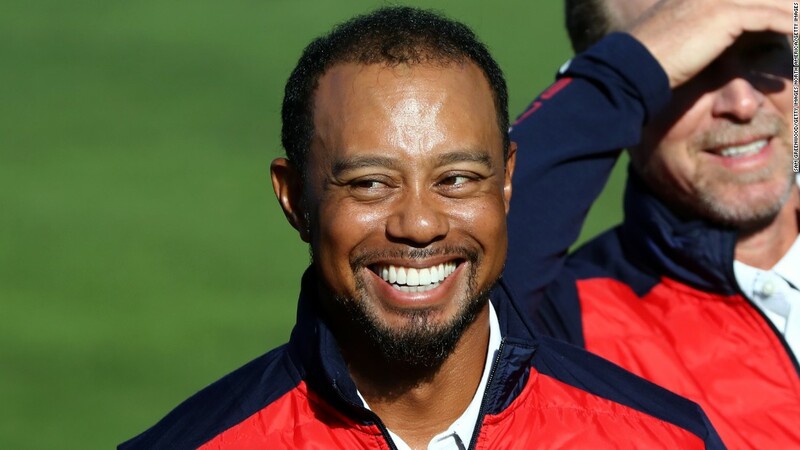 Woods has since canceled planned appearances at the Genesis Open and the Honda Classic. Woods first hit the top of the world rankings in 1997, going on to dominate the standings like no one before, holding the record for the most consecutive weeks in the No. 1 spot — 281. He’s also spent an unparalleled 683 weeks in pole position throughout his career. Then the injuries began to take their toll and not since 2014 has the American looked down on the competition. His decline has been severe with Woods sitting 711th at the time of publication. Inevitably, Woods’ decline has affected his bank balance. Back in 2007, he enjoyed his most lucrative year on the PGA Tour, raking in prize money worth $10.9 million. Since 1996, Woods has secured over $110 million in prize money on the PGA Tour. Although his coffers have been boosted enormously over the years by endorsements and commercial deals, remarkably Woods hasn’t earned a penny in prize money on the US circuit since 2015. Despite his recent struggles, Woods’ impact on golf’s four major tournaments is indisputable. Only Jack Nicklaus can better Tiger’s total of 14 major wins — the “Golden Bear” has 18 to his name. Woods’ most recent major triumph was at the US Open in 2008, and it remains to be seen whether it will prove to be his last.